Having a baby? You got this. Birth Matters NYC's here to help smooth the transition, building foundations for birthing and parenting with confidence. You can't know what you don't know until you know it (duh). Time and time again, students tell Lisa how amazed they are at how much there is to learn and how thankful they are to have learned so much in birth class before the big day. Birth Matters NYC provides group childbirth education classes for expectant parents in Astoria, Queens, and in-home, private childbirth education sessions in NYC's five boroughs. 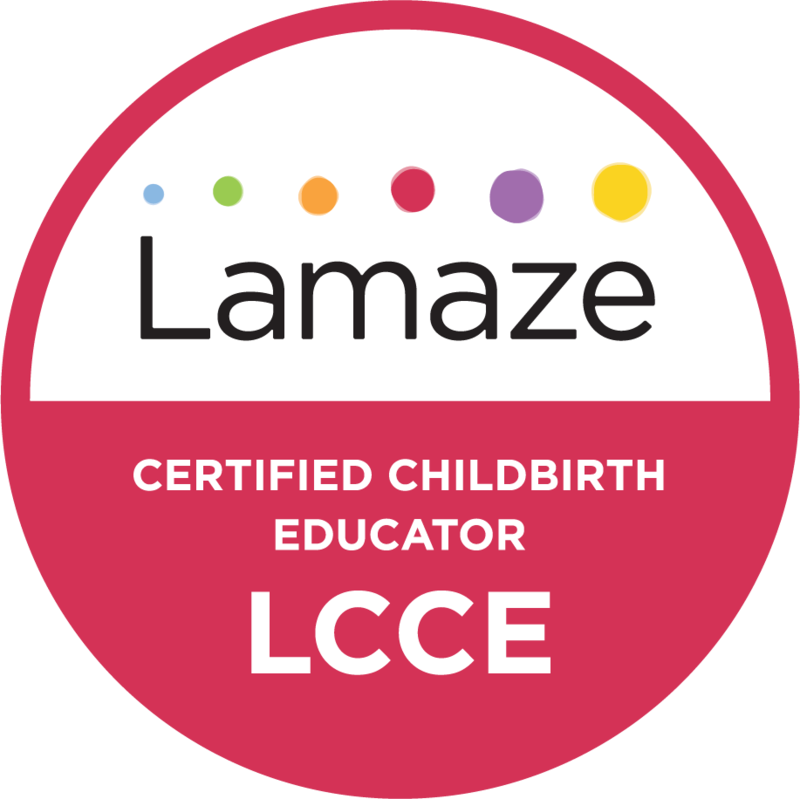 Lisa also recently launched the BIRTH MATTERS ONLINE BIRTH COURSE, for expectant parents who want to take birth class anywhere, on-demand! There's even an optional add-on of a comfort measure workshop in Lisa's living room classroom or a 30-min private consultation so you can take advantage of both the on-demand and the in-person benefits -- the best of both worlds! Instructor Lisa's teaching has been described by students as "the perfect balance of evidence-based info with just the right bit of crunchy sprinkled in." Classes meet in her welcoming and comfy living room classroom in Astoria, with freshly baked cookies at just about every first class (and other healthier options, too, for those who don't want to have fun). Lisa encourages students to come to class ready to laugh and enjoy themselves and to think of class like a celebration or special pre-baby date time to deepen intimacy with partner (where applicable) and develop new friendships. Birth Matters' group series is also one of the few remaining of its kind in NYC that is not a la carte; rather, Lisa makes it a priority to provide students with an all-in-one series, so no one misses out on important stuff. All-in-one includes not just prep for birth but also breastfeeding, newborn care, and postpartum wellness. For this reason, it's one of the best values in NYC when you consider the individually-priced series elsewhere! You can likely have a positively transformative, healthy, intervention-free or low-intervention birth, but it all too often doesn't play out that way in NYC's birth environment unless we plan and prepare for it strategically. With the philosophy that--just as every person is beautifully unique--there is no one "right" way to give birth, Birth Matters equips expectant parents with the evidence-based information needed toward birthing with confidence and making informed, pragmatic and intuitive decisions in pregnancy, labor, birth and beyond. 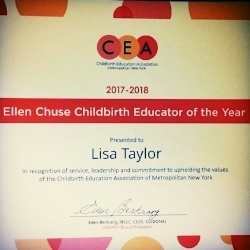 Birth Matters' Lisa Greaves Taylor was awarded 2017-2018 CHILDBIRTH EDUCATOR OF THE YEAR by Childbirth Education Association of Metropolitan New York! Check out our 5-star reviews on the Birth Matters NYC Yelp page and see that Birth Matters is one of the best childbirth education choices in NYC.